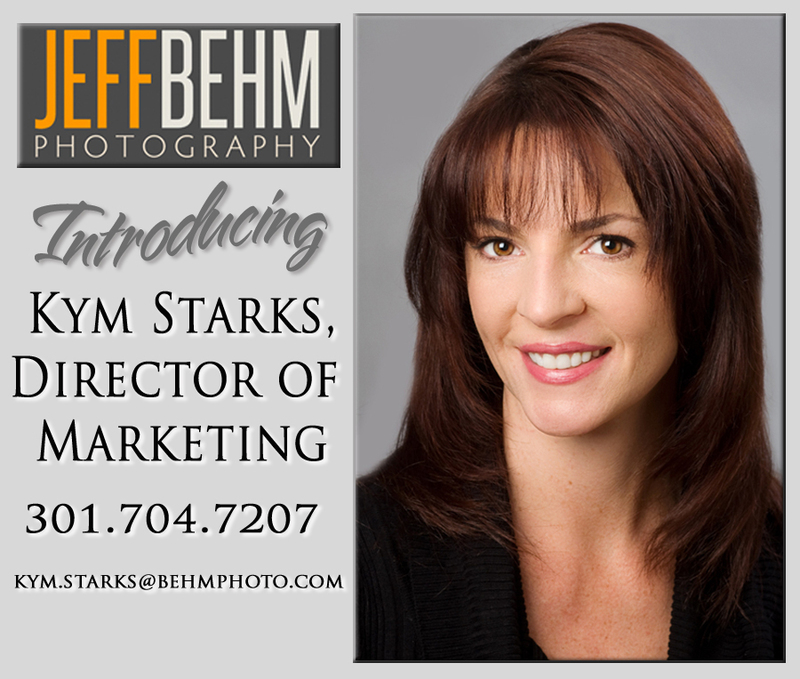 As the banner above suggests, we are pleased to announce Kym Starks as Jeff Behm Photography’s Director of Marketing. Kym’s many strengths and people skills made this an easy decision, designed to enable a more consistent sales and marketing effort for the studio as Behm Photo grows. Clients can look forward to meeting and hearing from Ms. Starks as she becomes more familiar with her role, or feel free to contact her to schedule a meeting by emailing kym.starks@behmphoto.com or calling 301.704.7207. A native of New York, Ms. Starks relocated to Frederick, MD about ten years ago. Experienced in the sales field, Kym has devoted time to her family as of late, and we’re thrilled she’s chosen JEFF BEHM PHOTOGRAPHY for her return. Photographic assignments have taken Jeff Behm Photography all around the western hemisphere, in addition to serving local areas in Frederick, Washington, Montgomery, Prince George’s, Howard and Baltimore counties. Services provided include photography in advertising, aerial, food, executive portraiture and commercial use at the highest levels. For outstanding professional photography, based in Frederick, MD, call 301.704.7207 to speak with Kym Starks.